There are only eight breeding female werecats left... And I'm one of them. I look like an all-American grad student. But I am a werecat, a shape-shifter, and I live in two worlds. Despite reservations from my family and my Pride, I escaped the pressure to continue my species and carved out a normal life for myself. Until the night a Stray attacked. I'd been warned about Strays -- werecats without a Pride, constantly on the lookout for someone like me: attractive, female, and fertile. I fought him off, but then learned two of my fellow tabbies had disappeared. This brush with danger was all my Pride needed to summon me back - for my own protection. Yeah, right. But I'm no meek kitty. I'll take on whatever -- and whoever -- I have to in order to find my friends. Watch out, Strays -- 'cause I got claws, and I'm not afraid to use them. 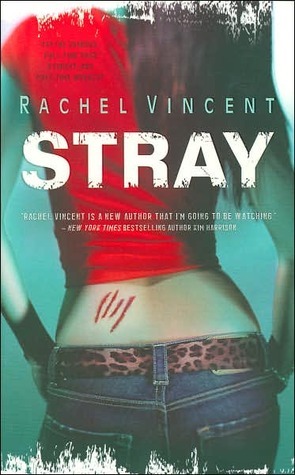 After enjoying Blood Bound and My Soul to Take a whole lot, I decided to try Vincent's Shifters series. I really liked reading it, and I was entertained throughout the entire 600+ pages, I couldn't help but place a couple of side notes with reasons why I didn't *love* this book as much as I loved, say, Blood Bound. While I really enjoyed reading this book, I couldn't help but feel that something was missing - or rather, something was mentioned too often: the men around Faythe often threaten her, try to control her, and though I don't think Faythe is a weak female character by any means, this resulted in some pretty annoying scenes. Faythe would risk everyone around her just to be 'free', which got on my nerves. I get it - people are trying to decide your life for you and you don't want that, but that's not a reason to almost get your entire Pride killed. There was a lot of attention for two particular men in Faythe's life and I really hope that this won't expand in the next couple of books (*mumbles something about love triangles*). Having said that, I really liked to read about a different kind of shifter for a change. I liked the storyline, and of course I liked the writing style! I've already ordered the second book in this series and I'm quite curious to see what kind of problem Faythe will try to enlarge in the sequel. "(*mumbles something about love triangles*)"
Announcing: Bella & Daph's Epic Review Month!